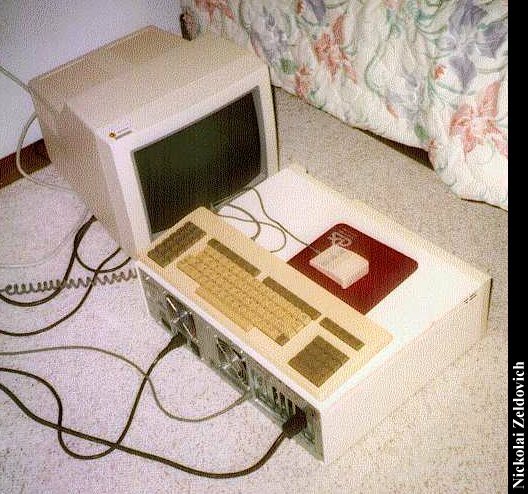 This is the oldest apollo I have, DN300, has a proprietary apollo bus, built-in mono monitor, external 60M harddrive + 8" floppy drive (weights ~80lbs), built-in ATR network card, and 1.5M RAM. It still runs Aegis and Domain/IX (the older Apollo UNIX OS) pretty well. The newer Apollo's (DN3500's, 4500's and 10000) run Domain/OS, the new release of Apollo's OS, which is more like normal UNIX. This is just a DN3010, same thing as DN3000, except it has a different MMU. Nothing different externally. This particular one is diskless and boots over ATR. These are two DN3500's, mid-range apollo's, probably one of the most popular of the apollo's. Both have 400M drives and 8M RAM. 68030 CPU at 25 MHz. 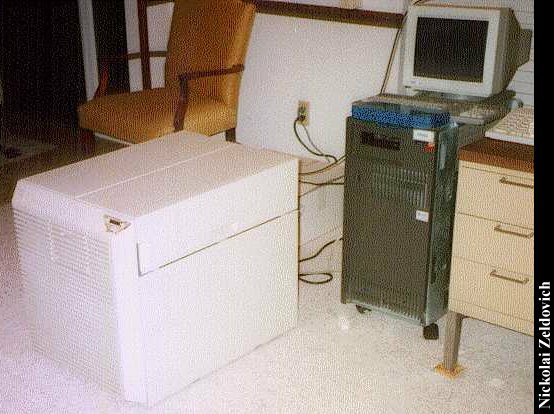 These are a DN3000, lower-end machine (still AT-bus) with 8M ram, 200 and 100M disks and a DN4500, with a 68030 at 33 MHz plus 16M RAM and a 80286 "Domain PC Coprocessor card" with 4M of RAM, for emulating basic DOS. 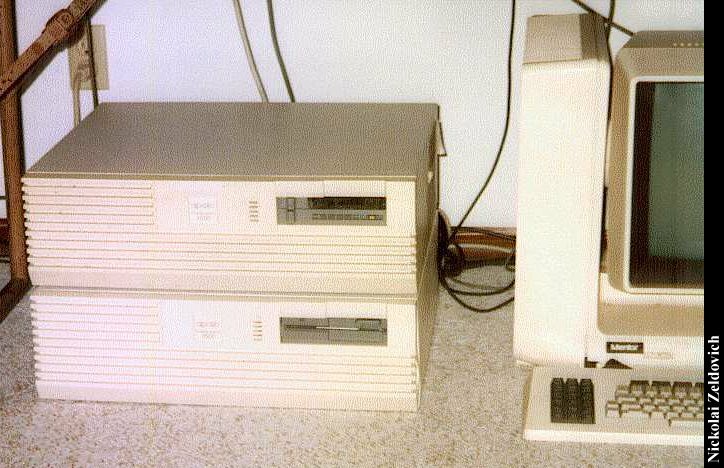 The one on the left works as a gateway between ethernet and Apollo Token Ring, apollo's proprietary network running at 12 MBps. the one on the right has only an ATR connection. 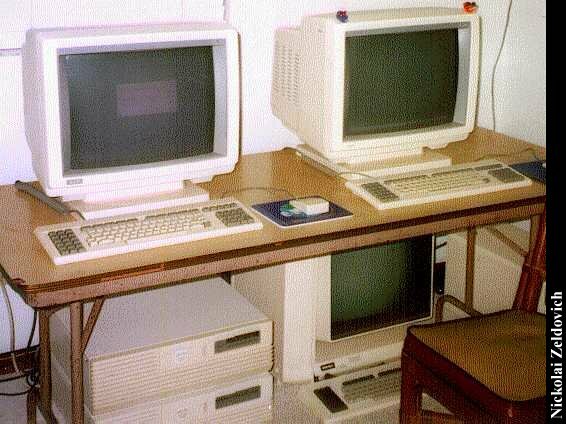 These are just the monitors from the two DN3500's. Thought I'd include them just for the sake of completeness.. 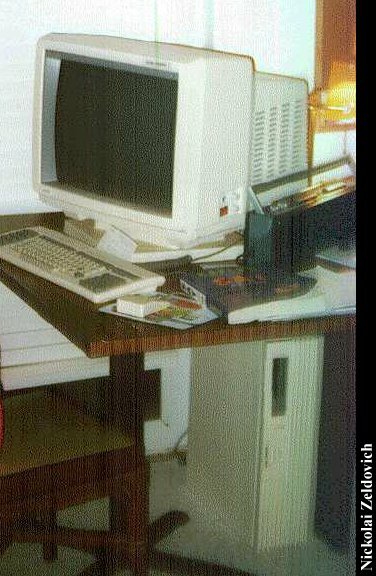 This is a DN10000, the high-end Apollo machine, fastest machine of its time, and rivaled with the high-end SGI's in graphics performance as well. This one has 4 CPUs, 112M RAM and about 4G of diskspace. 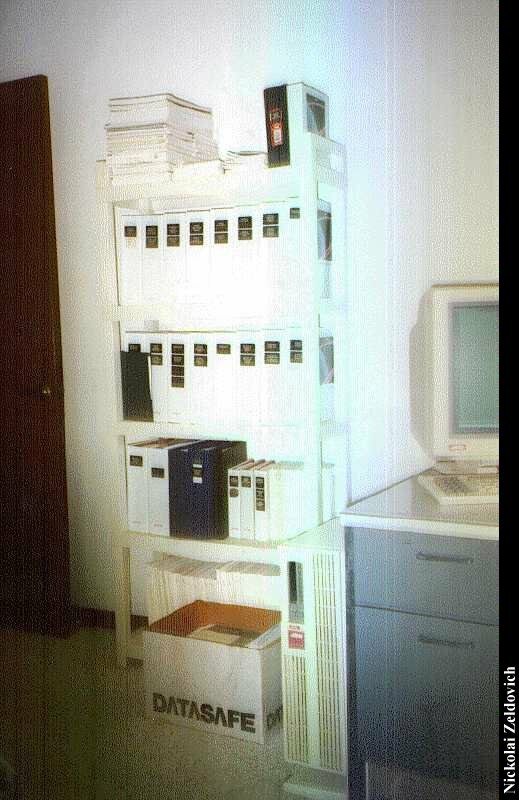 Here's a picture of my shelf of Apollo manuals [most of them :) ] I'm not sure if this should go to the museum or not, but anyways, kinda a lot of manuals. Haven't seen that many with any of the other computers I've worked with. Click here to view all comments for the Apollo Workstations and to leave your own. 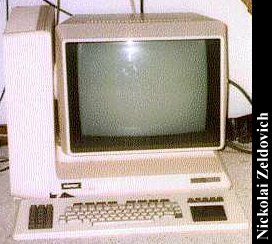 Click here to view comments about other Apollo computers.